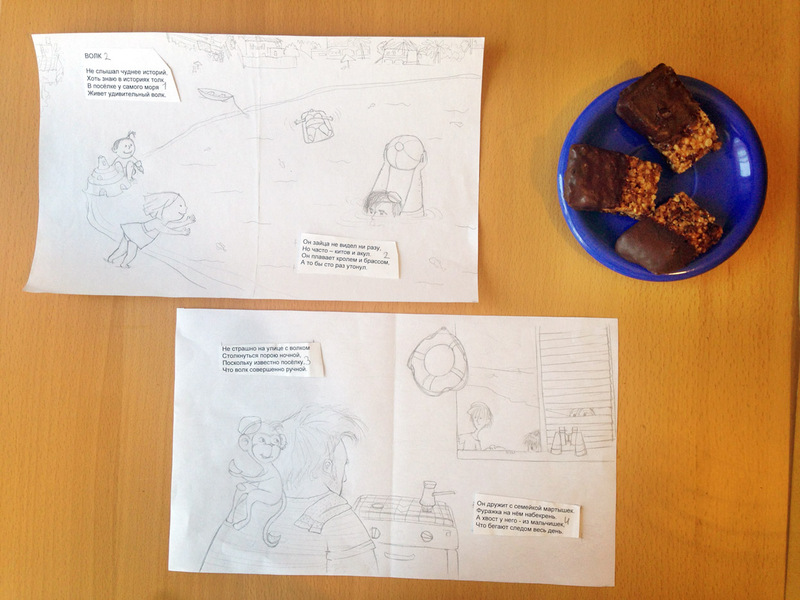 festive flapjacks, beer bread and a sea dog (or a sea wolf) and a theatre backstage. a mishmash really. so my dad’s a poet. a children’s poet. writing in russian and living there. he asked me to try to illustrate a couple of his older poems, both sea themed. although my drawing skills r a bit rusty by now i started straight away. well, not straight away cause i did this before. i think i like the guy and his easy recipies being a girl who grew up in a family where the mother didn’t cook (AT ALL) and the father cooked just really basic stuff (since he had to). i like how he talks about cooking as an expression of sympathy and appreciation. of love really. i think it puts me in a right mindset and keeps me motivated. most of the time. 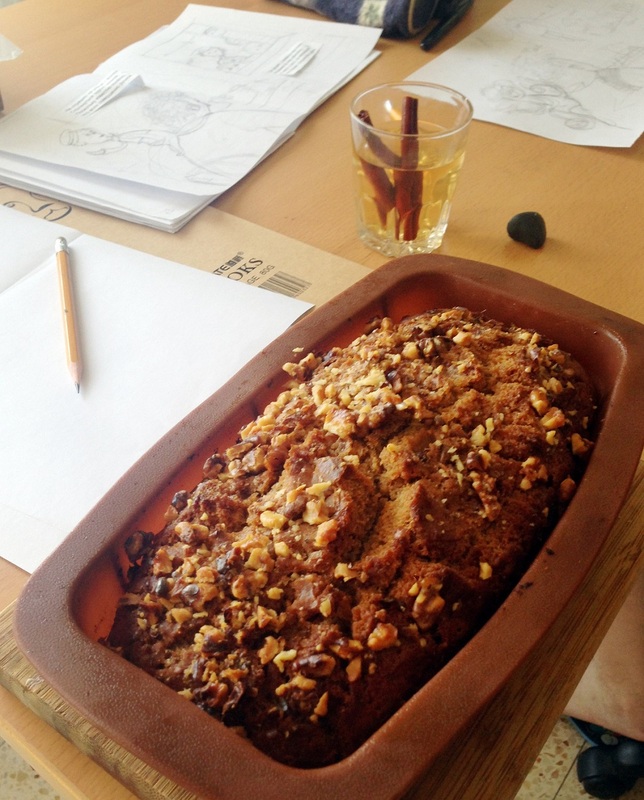 and this is what i baked last weekend, a beer bread: bottle of beer flour salt some sugar, that’s it. so easy to make i almost didn’t believe the outcome would be good. but it was. beer bread. if i can do it and it’s edible – anyone can! and lastly a photo of me at work for your viewing pleasure. love location photos. or should i call it environment or setting photos, i don’t know. 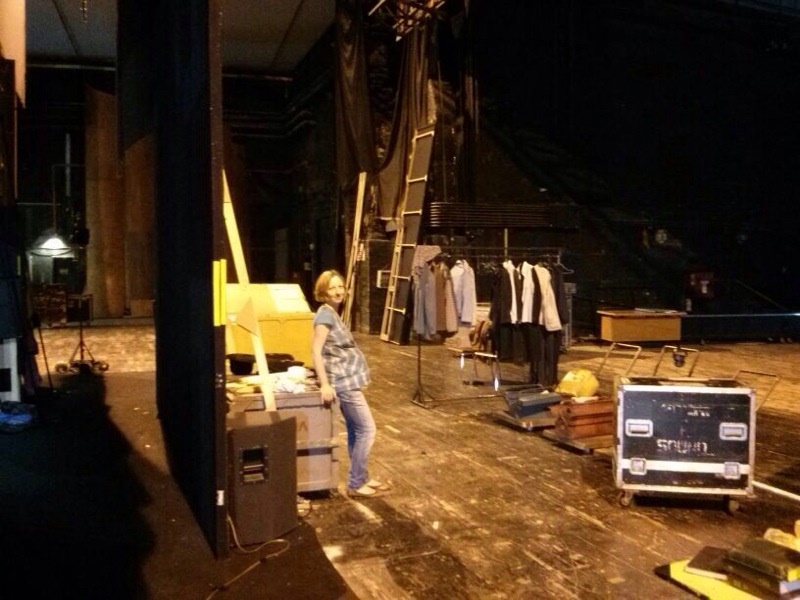 i work in props and costumes department of a local national theatre, remember?